AForge.NET :: Forums • View topic - Pre-processing for blob detection. I recently asked a question on Stackoverflow that failed to get much exposure. Basically I'm trying to perform blob detection in order to ascertain the location of small 'spots' on a series of sample tiles. I've had some minor success by using ChannelFiltering/ColorFiltering before applying the blob counter, but this requires me to manually define a color range which matches the color of the spots. This might be fine for the example image I provided in the Stackoverflow question, but in the real world I expect there to be quite a bit of variance in not only the sample tiles themselves but also in the acquired images. I undertook some computer vision classes for my undergraduate degree, but unfortunately this information now evades me. What are some good starting points/ideas for pre-processing an image in order to maximize the effectiveness of a blob finding algorithm? - do some kind of region growing followed by region shrinking to get rid of noise? Any help/direction at all would be greatly appreciated. For a rough idea of how the sample tiles look, there is an example image here: http://imgur.com/xTRLVEJ.jpg. Please note that this is just a rough indication. 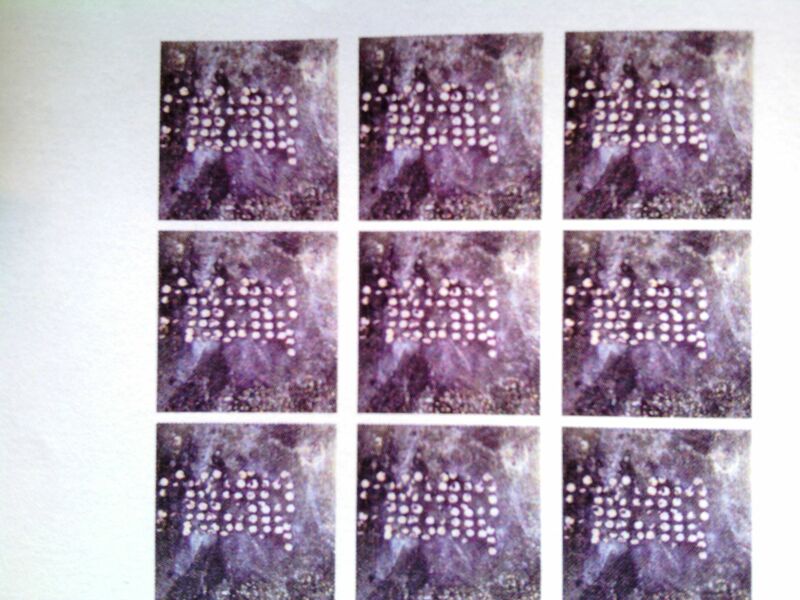 It is, in fact, an image of a printout - I don't yet have access to any of the physical sample tiles and have only been provided with an image of how they will look. Re: Pre-processing for blob detection. Proper illumination and camera lens may solve up 85% of your image processing task. Try that first. Thanks for the quick reply. I disagree with you in this particular case though - my problem is that there will be artifacts/defects on the physical objects being imaged, so even perfect illumination and a wildly expensive lens won't help reduce the defects on the sample tiles.